Cornwall, ON – July 27, 2015 – For more than 65 years, The Glengarry Highland Games, affectionately referred to simply as “The Games,” have been a Glengarry tradition that attracts tens of thousands of visitors each year from across the globe. 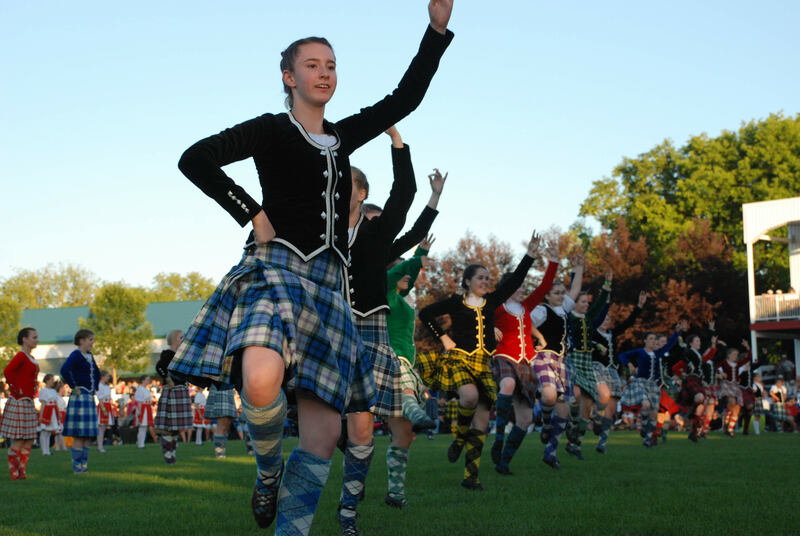 With more than 50 pipe bands, over 175 dancers, and a number of physical challenges, there is some Scottish heritage for everyone to enjoy at the Glengarry Highland Games in Maxville, Ontario on July 31 – August 1. Every year, The Games welcomes a guest of honor, which has included guests like Canadian Prime Ministers, statesmen, sports figures, authors and members of Canada’s military family. This year, Glengarry welcomes Lieutenant-General Marquis Hainse, Commander of the Canadian Army. Lieutenant-General Hainse will open the Games, and later present the Challenge Cup to the winner of the Highland Regiments’ Tug of War, which has been known to bring in some 10,000 spectators, and features 10 members on each team, dressed in full traditional kilts with unit T-shirt and combat boots. The feather in the cap of the Glengarry Highland Games is the North American Pipe Band Championships. 57 pipe bands from across North America will be competing for top dog in divisions ranging from Grades 1-5. 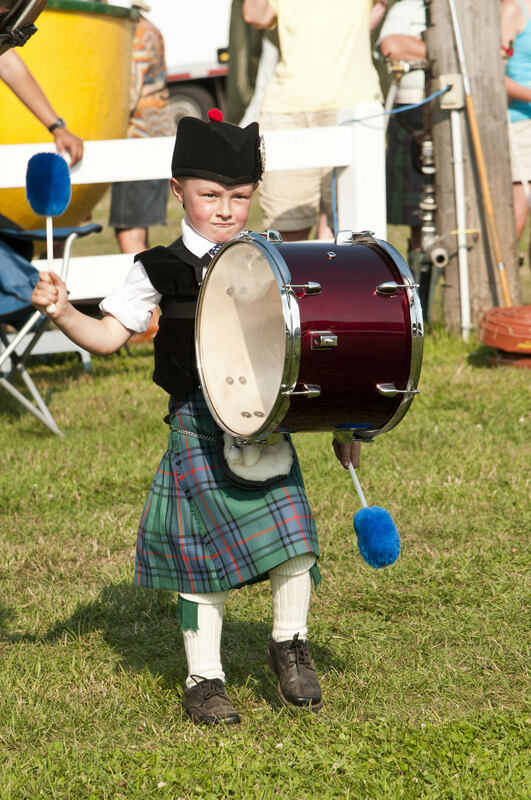 These talented bands put on incredible performances individually, but one of the most exhilarating sights to be seen at the Glengarry Highland Games is the massed bands, where each band converges on the field to perform as one. 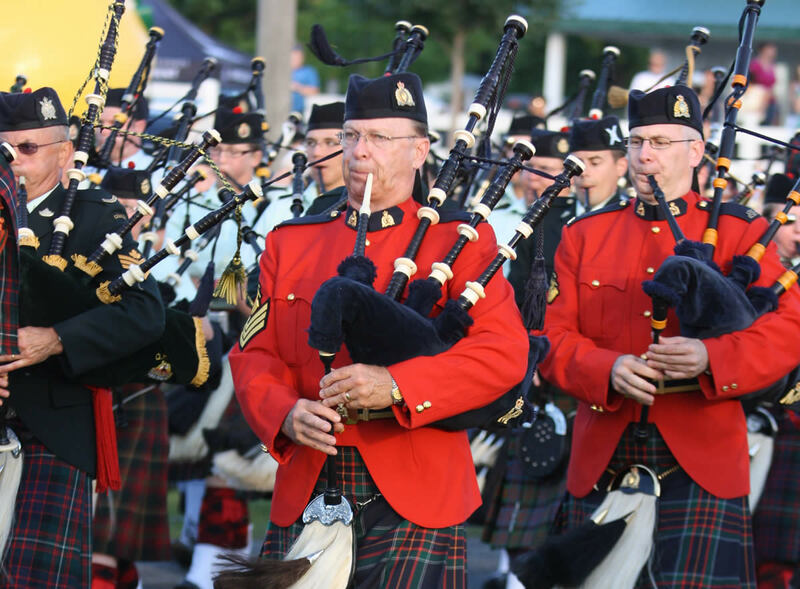 The Glengarry Highland Games features the largest massed pipe bands in North America, and the truly awe inspiring event takes place Saturday at 6:00pm. You do not want to miss it! Along with the outstanding piping and drumming competitions, Highland Dancing competitions and performances are happening throughout the weekend. A new record has been set for the 2015 edition as over 175 dancers will perform. Another popular attraction at The Glengarry Highland Games are the heavyweight events, which include The Caber – in which the competitor must pick up the caber and toss it, so it lands straight out in front of him/her at a 12 o’clock position; The Stone – which is similar to the more familiar shot put, where the competitor must “put” (throw) a field stone as far as possible without passing the line (aka the “trig”); The Hammers – weights that come in a variety of sizes and are vigorously rotated and tossed into the air. The throw is measured for distance, and athletes wear special “hammer boots,” which dig into the ground to help maintain ground contact during the rotation; The Sheaf, which comes from Scottish farming traditions – where athletes use a standard pitch fork to toss a bag of twine and burlap over a horizontal bar. These are just some of the exciting events on tap at the 2015 Glengarry Highland Games. The weekend includes excellent musical entertainment at the Tattoo & Concert, as well as great entertainment in the massive beer tents and the beautiful Metcalfe Centre. Artists set to perform at the Games include award winning singer/songwriter J.P. Cormier, a collection of some of the National Capital Region’s favourite musicians, Ecosse, The MacCulloch Dancers, Wendy MacIsaac, The Brigadoons, Mariner’s Curse, Poor Angus, Neil Emberg and Bang on the Ear, to name just a few. The Glengarry Highland Games have a new addition to the event as they welcome a variety of children’s events and activities throughout the weekend including a petting zoo, junior heavyweight competitions, bouncy castles and more. Providing more child-friendly entertainment truly makes The Games a family event.